HABs are not just a problem for Seneca Lake. All of the Finger Lakes have had problems with HABs throughout the summer, mostly in September, over the past few years. There are monitoring efforts at some level taking place across the Finger Lakes, and policymakers are working to address these issues through improved watershed management plans that are more aggressive than they have been in the past. The management plan for Seneca Lake is shaped by the standardized formats promulgated by the US Environmental Protection Agency (US EPA) and the New York State Department of Environmental Conservation (DEC). Corbett and the team believe that watershed modeling that can mathematically define pollutant loads is what has been missing from the plan before now. Along with large amounts of monitoring data, modeling can answer more questions. The other three tributaries are also interesting to the team, in that each offers a unique set of insights into the watershed. One is in a largely agricultural area with no urban regions and no wastewater treatment plant on it, so it provides a view of the agriculture impact. Another flows through the old Seneca Lake army munitions area. The last flows through a more forested watershed area, revealing what a more pristine area stream looks like. The organization has 70 to 80 people involved in the stream monitoring program around the lake. Since its inception in 2014, the program has grown each year. An additional benefit of the monitoring program is awareness—of the program itself, but also the problem that HABs present in the region. Of course, this much discussion of harmful algal blooms always brings up the same issues. Of course, the fact that HABs remain in the area is a frustration—to Corbett and many others. The swelling number of volunteers in this program and others like it speaks to the growing concern among everyday people about the health of the water they drink and otherwise use. At the state level, the DEC has established a new subgroup called the Finger Lakes Water Hub (FLWH), a group of four or five people dedicated to improving Finger Lakes water quality. 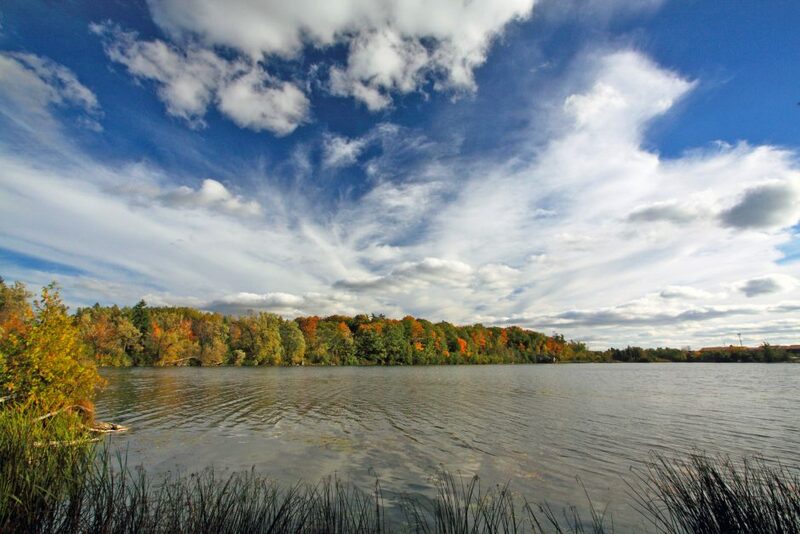 FLWH works with lake associations and others to develop improved data on these water bodies, and helps drive and develop improved watershed management plans. Overall, the stream and lake monitoring programs have been very positive, allowing the team to generate water quality information that they can compare to historical data to get a sense of how the lake’s water quality is changing. GENEVA – Senator Pam Helming today announced that the Finger Lakes region’s fight to block a proposed garbage incinerator project from moving forward at the former Seneca Army Depot in the Town of Romulus continues. Her bill to prevent Circular EnerG from obtaining a permit to build an incinerator that would require the daily delivery of more than 2,500 tons of trash to operate has advanced through the Senate Energy and Telecommunications Committee. It will now go before the Senate for a vote. “The fight to stop this misguided proposal that would devastate the surrounding communities continues. This is a moment of celebration for the entire Finger Lakes region and all those who believe in clean water, clean air, and a high quality of life for our children and families. Ever since this project first came before the Romulus Planning Board, I have worked with local residents, environmental advocates, and business owners to craft this legislation and gain support for it. We brought together many diverse groups, including statewide business organizations and environmental advocacy groups, who are typically on opposite sides of the table to make sure that this project never happens and never has a chance of happening. The Finger Lakes Community Preservation Act, as the legislation is known, supports residents and business owners who are fearful of the impact this project would have on public health, the environment, their businesses, and the value of their property. Most importantly, it protects the children of Romulus who would have been forced to go to school next to a smokestack releasing who knows what. Whether you are a Republican or a Democrat, this is not a political issue. We need to continue putting the people first, not politics. Thank you to Senator May, Senator O'Mara, and Assemblyman Palmesano for their partnership on this important legislation and to my colleagues on the Energy and Telecommunications Committee for working to advance this legislation,” Senator Helming said. Opponents of the project note that the incinerator would produce toxic ash from burning a range of solid wastes that can vary widely in chemical output, making compliance with emissions and toxic waste limits difficult. Siting a trash incinerator in the Finger Lakes region, with the associated impacts of air and ash pollution, will damage local tourism as well as the booming wine and agricultural industries. The Assembly bill is sponsored by Assemblyman Michael Cusick and has been referred to the Assembly Energy Committee. GENEVA — Planting trees is one of the easiest and most affordable ways to improve water quality, according to the Seneca Lake Pure Waters Association. INTERCEPTION: During rainstorms, tree canopies are the first line of defense. Leaves and branches intercept the falling rain, dispersing it at a slower rate over a large area, encouraging more absorption by the ground. FILTRATION: Trees help to filter road salt, fertilizers and pesticides out of water. Some chemicals are taken up by the trees themselves while others are taken up by fungi, bacteria and other microorganisms that exist in forest soils. INFILTRATION: Decomposing materials from trees and plants collect on the ground and form an absorptive layer that acts as a sponge that soaks up water. A tree’s root system helps to break up compacted soil, opening up spaces for water to soak into the soil. STABILIZATION: Tree roots help give the soil structure, preventing erosion. Organic matter from leaves and microorganisms living in the soil help hold soil together, acting like glue to bind soil particles together. HABITAT: Trees growing along the lake’s shoreline or along the banks of a stream or creek support aquatic life. Leaves and seeds provide food for insects that, in turn, are eaten by fish and other large animals. Roots, falling logs and branches provide food, shade and hiding places in the water. Trees also shade the water, keeping it cool for species that are sensitive to temperature and keeping down the growth of algae and weeds that can clog waterways. Weakland said the Ontario, Seneca and Schuyler County Soil and Water Conservation Districts will sell seedlings this spring. People can pre-order by Friday, March 8, and receive the trees for planting in May. Those district offices can be contacted for details. For more information, call (585)396-1450 in Ontario County, (315)568-4366 ext. 4 in Seneca County, and (607)535-0878 in Schuyler County. SLPWA’s membership cycle begins June 1 and ends May 3, 2020. Weakland says anyone interested in the protection and preservation of Seneca Lake can help by joining the organization. People can join by visiting senecalake.org. The cost is $10 for students, $30 for households and $50 for businesses. Checks can also be mailed to SLPWA, P.O. Box 247, Geneva, 14456. 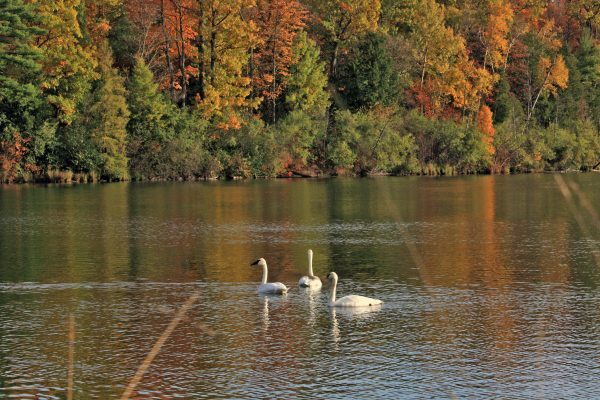 The Seneca Watershed Intermunicipal Organization (SWIO) is conducting a search for the new watchdog/advocate to protect Seneca Lake as a clean source of water. According to Mark Venuti, chair of SWIO, State Sen. Pam Helming got $110 million in Clean Water funds tucked in the state budget, and $200,000 of that is earmarked for the Town of Geneva to hire the Seneca Watershed Steward, and to fund program efforts. The SWIO Steward is a full-time, benefits-eligible, administrative salaried position for $59,000 per year. Venuti says Hobart & William Smith Colleges will manage payroll and the Finger Lakes Institute (FLI) will provide office space. Venuti says this arrangement of support relieves SWIO of the burden of administration and paying for office space. Venuti says he expects the steward will report day-to-day to Dr. Lisa Cleckner, Director of the FLI, and to the SWIO governance group as an executive committee. SWIO hopes to fill the position by the end of January, and already has six applicants for the post.